I did it. I was brave. I managed to get out of bed early on a Saturday, drive across town and make small talk with a dozen people. 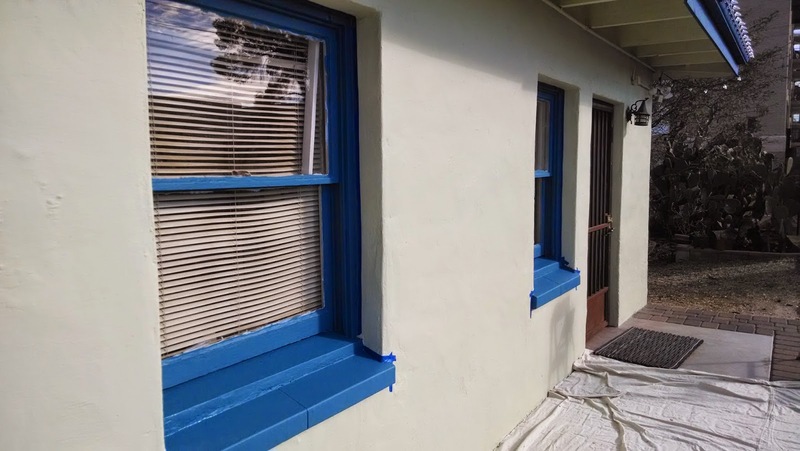 We worked on taping and painting the old windows on the adobe office building. At break time we got a tour of the grounds including an outdoor shower, composting toilet, and an underground 20,000 gallon cistern for holding rainwater. It was fun to see all of the things I had read about in action and I earned 5 credits toward my own volunteer workshop on my property. Only 11 more credits to go. After that I stopped by the dog adoptions but they had plenty of volunteers so I chatted a while and then went home to finally relax and watch a movie. 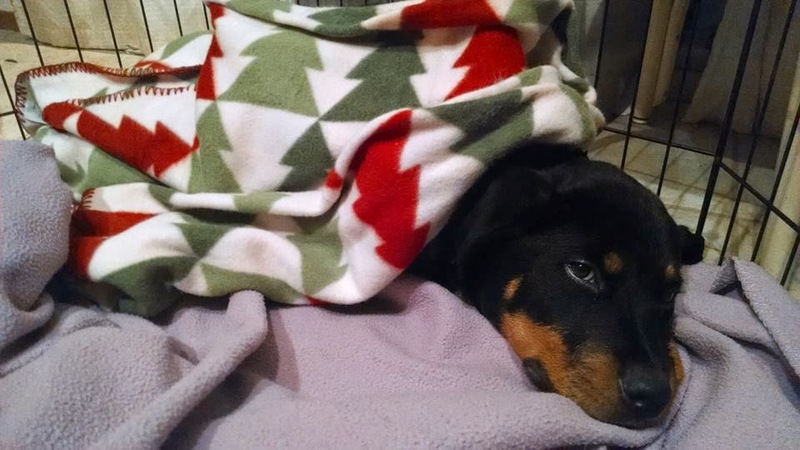 I got a new foster dog on Friday night, a pure bred Rottweiler puppy who's limb had to be amputated because it healed badly after a being hit by a car. I took her in for a vet visit this afternoon and another couple came in wanting to foster. One of them works from home so we thought it would be better for the puppy to be at their house. Only a two day foster. That was quick. I picked up a mama Lhasa Apso and pups that were born last night. They should be easy fosters if they don't get sick. So far, mama dog is very nice and doesn't bark or howl like my last foster mama. And that was my weekend. Well, that and lots of laundry, cleaning under the quail cage, and pulling weeds. I am so sore from painting and pulling weeds. I need another day to recuperate. I'm out of luck, though. Tomorrow starts another exciting week of office work. At least payday is Wednesday. Now there's something to look forward to. Is Sassy out of surgery? Will she recover with you too?